Do you live in Gloucestershire, Bristol or the surrounding area? 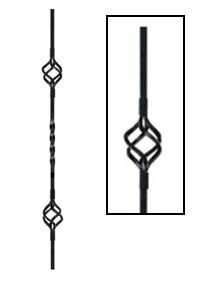 Do you need stair parts for your staircase? 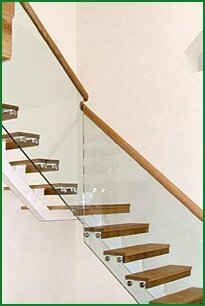 Then look no further, Pear Stairs has everything you could need to make your staircase dreams a reality. 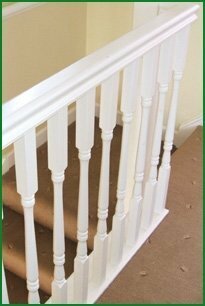 Whether you need balustrades for your cottage in the Cotswolds, banisters for your beach house in Bristol, or spindles for your summer house in Stroud, Pear Stairs has it all - just a few clicks away. Visit our online stair parts shop and simply select what you need, and our top-flight courier service will deliver to your Gloucestershire door in next to no time. We stock a wide range of stair parts to suit every style and budget, so if you’re after metal spindles or wooden spindles, traditional balustrades or something a little more modern, contact us at Pear Stairs, and our friendly staff will only be too happy to help. If you are unsure what stair parts you want for your staircase then why not browse through our extensive gallery of pictures, and take some inspiration from thousands of satisfied customers. If you’d like to go a step further and design your own bespoke staircase, try our online 3D design software studio, where you can create the staircase of your dreams with the stair parts you want absolutely free. It will even give you a zero-commitment quote in seconds. 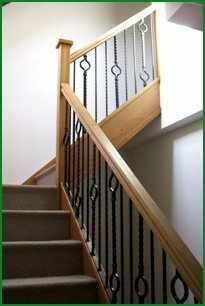 You can mix metal banisters with wooden spindles, or glass steps with metal balustrades; the choice is yours! Once you have chosen the staircase or stair parts you want, then our team of expert designers and craftsmen will be with you every step of the way. The county of Gloucestershire is well known for it rich history and idyllic countryside, including the Cotswolds and the Forest of Dean, and we understand that the people of Gloucestershire care about their environment; that’s why at Pear Stairs many of our stair parts are not only made from quality materials such as oak, ash, hemlock, pine, and walnut, but are also sourced from eco-friendly suppliers.